Give your bathroom a mini makeover with some paint and new hardware that will add a brand new look - without having to spend a lot of money. 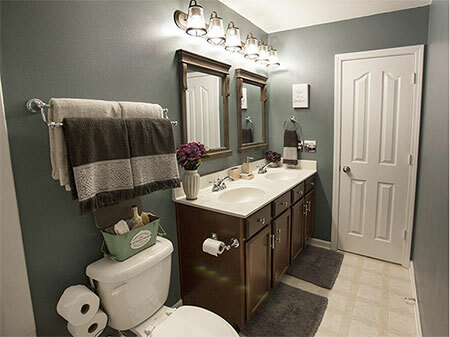 We all love projects that will save us money, and this weekend bathroom makeover shows that you can make small changes for a big impact. If your bathroom needs a refreshed look or you are putting your property up for sale and need to make some small cosmetic changes, try out this weekend project and see how different your bathroom will look once you have finished. 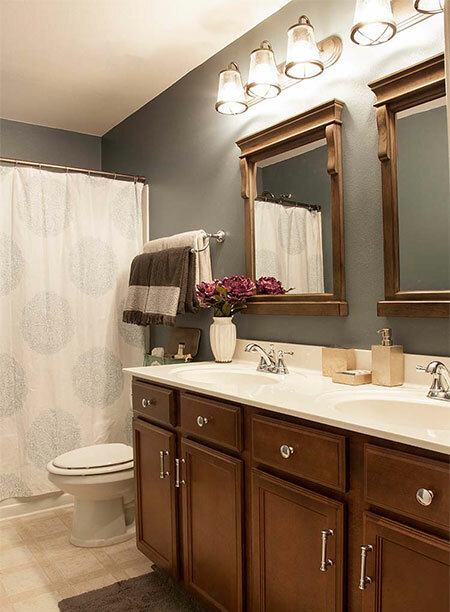 ABOVE and BELOW: Check out this before and after weekend makeover for a bathroom. 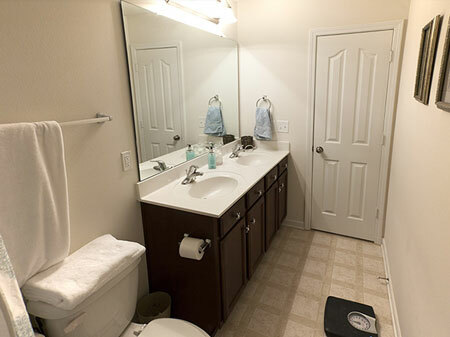 For this bathroom makeover, very little was changed apart from a few cosmetic updates. 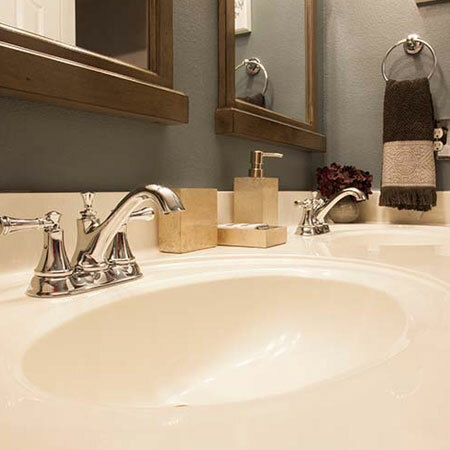 Even a few changes can have a dramatic impact, so set aside some time over a weekend and give your bathroom a new, refreshed look. 1. Remove all the accessories and fittings from the walls. It is far easier to apply paint if you don't have to worry about spoiling these. 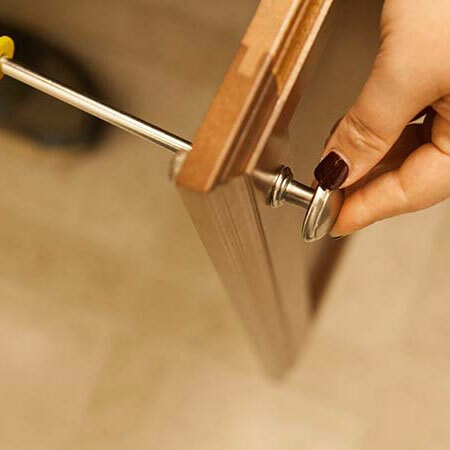 Most bathroom accessories are fastened onto the wall with screws and you should be able to easily locate the screws to remove. GOOD TO KNOW: If you are not able to remove light fittings, make sure to cover these up with newspaper and wrap with masking tape. 2. 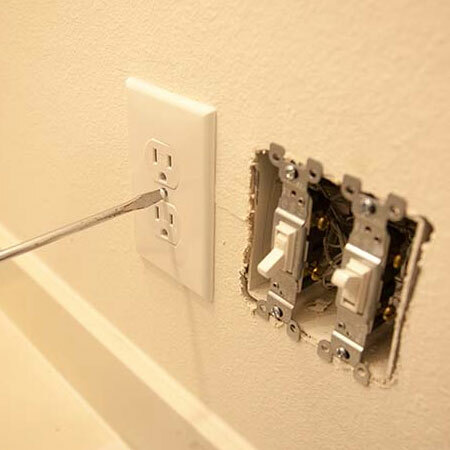 Also remove existing light switch covers and power outlet covers. DO switch off power to these outlets on your distribution board. 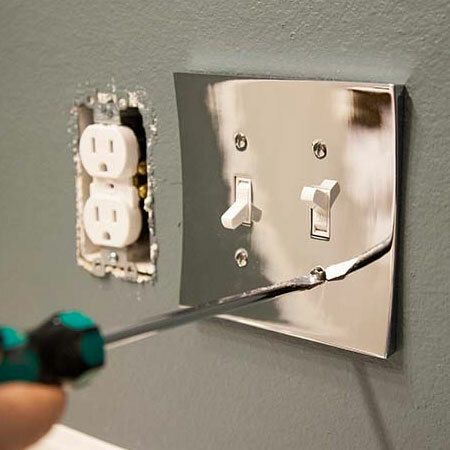 Since this is a cosmetic change only, you can tackle this project on your own without having to call out an electrician. 3. 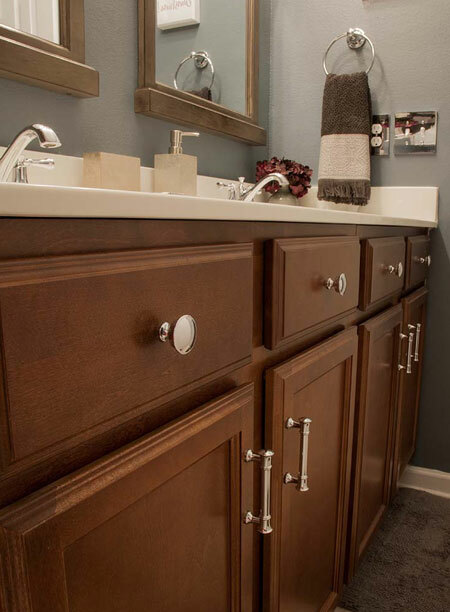 Remove existing handles and knobs from bathroom furniture. GOOD TO KNOW: Put down drop cloths to protect floors and also cover fittings such as a wash basin or toilet to protect from paint spatter. 4. 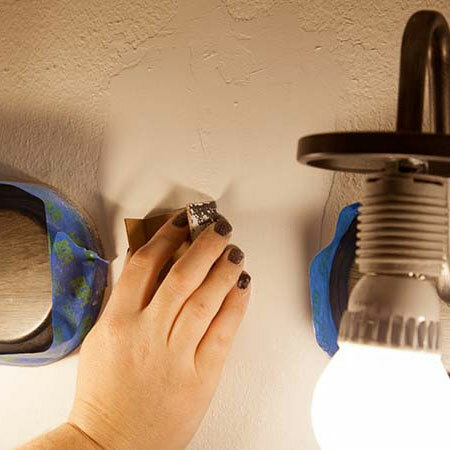 Before painting, take the time to do any essential patch up to walls before painting. An interior crack filler is ideal for patching up small cracks or damaged areas. Only apply enough crack filler to repair the crack and remove any excess so that it dries quickly and you don't have to stand around waiting for it to dry. 5. Mask off any remaining areas that are not going to be painted, or painted in a different colour, such as skirting boards, door and window frames. 6. Once the crack filler is completely dry, sand this smooth or to match the existing wall finish. GOOD TO KNOW: Grab your vacuum cleaner to remove all dust before you start painting. 7. Apply your choice of paint colour to walls. In a bathroom you need to apply a paint suitable for this room, since it has to be able to withstand high humidity and moisture. 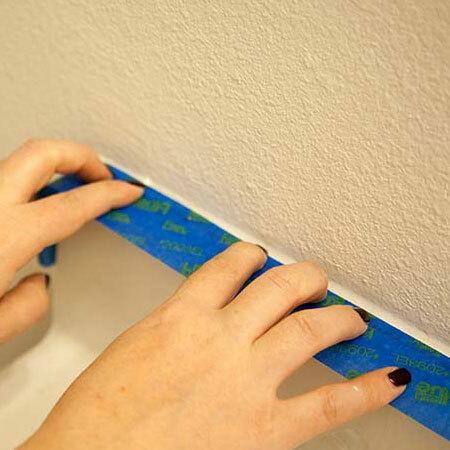 Start by using a paintbrush to cut in around any edges and around trim and fittings. 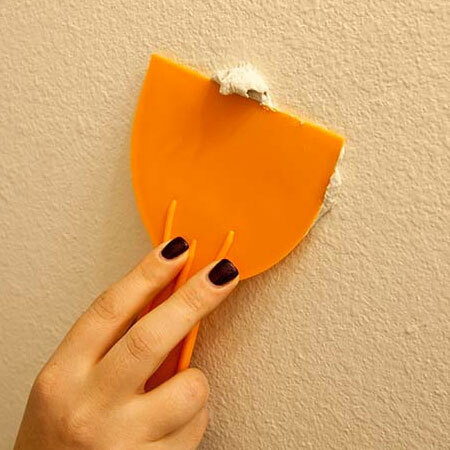 Once you've done this you can use a paint roller to apply paint to larger areas. 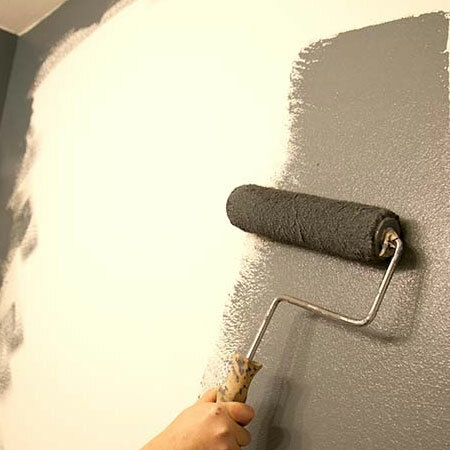 You will probably need to apply two coats of paint for a consistent finish, but do let the first coat dry thoroughly before applying a second coat of paint. 8. 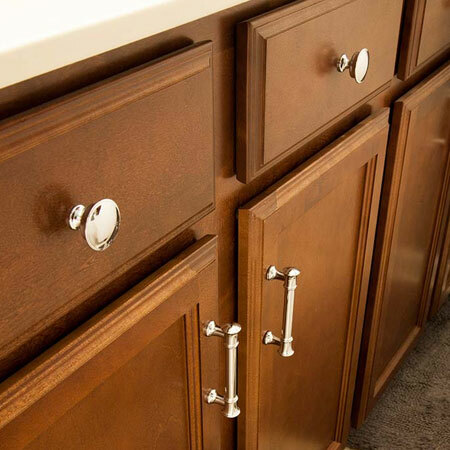 While waiting for the first coat of paint to dry, you can install your new cabinet knobs or handles. Pop into your nearest Gelmar store and check out the wide range of affordable handles and knobs to give your bathroom cabinets a new and update look. With so many options to choose from, try to select the most suitable hardware that blends in with your current style, or go for a completely different look. 9. 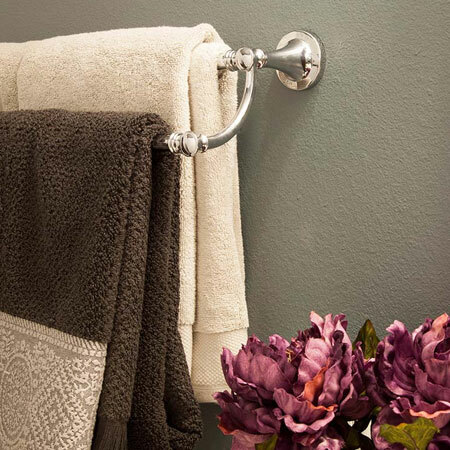 Fitting new towel racks and rails is another quick and easy way to give a cosmetic makeover to your bathroom. 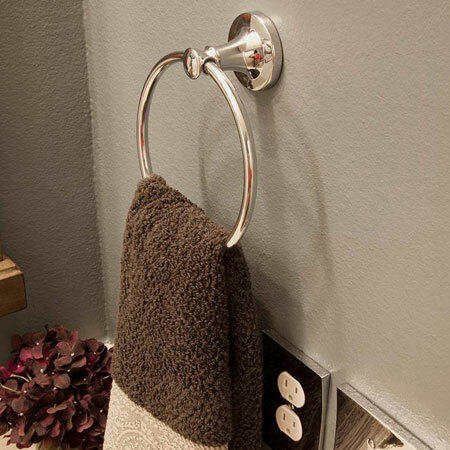 Ditch the boring hangers and rails and opt for sleek stainless steel elegance. 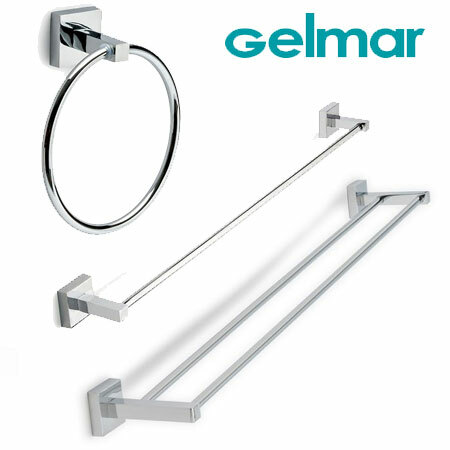 Update your bathroom fittings with a selection of chrome-plated and stainless steel towel rings and rails at Gelmar. 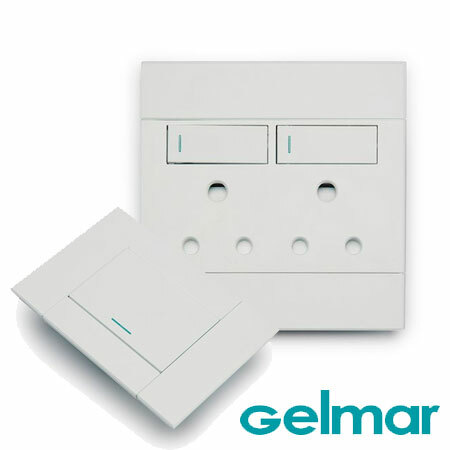 Pop into your nearest Gelmar store, or visit their website, to see a selection of modern light and power socket covers at very affordable prices. Finish off your newly dressed up bathroom with new soft towels in complementary colours and a few bathroom accessories. Finish off your cosmetic bathroom makeover with a few luxury finishes such as decorative framed mirrors, new light fittings and an updated vanity unit.